By default turned off lockdown mode in your Samsung galaxy S10 and S10 plus devices. Here’s how to enable and use lockdown mode in Galaxy S10 One UI 1.1. 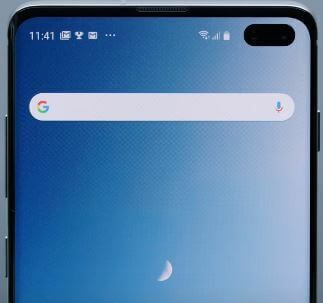 When enable lockdown mode in Samsung S10 plus, it will disable fingerprint sensor & face unlock, all S10 smart lock, and notifications on the lock screen. First time lockdown mode introduced in android 9 Pie devices. You can turn on lockdown mode on galaxy S10 using lock screen settings. After turned on, lockdown option display on the power menu button in your Samsung S10. Follow below given step by step process to use lockdown mode in Galaxy S10 and S10 Plus. This lockdown mode feature is useful to protect your data from strangers that can’t unlock your phone without PIN number or Password. Even added fingerprint people need to enter password or PIN to access phone. Check out below given settings to enable activate lockdown mode in Galaxy S10 Plus & S10 One UI. This galaxy S10 lock screen settings include lock automatically, lock instantly with power key, auto factory reset, lock network and security and show lockdown option. By default turned off show lockdown option in your Samsung S10. You’re Samsung galaxy S10 and S10 plus device locked. Now disable all smart lock, fingerprint, face unlock and lock screen notification content on galaxy S10. After unlock your device, next time you can use fingerprint to unlock phone. Android 9 Pie first introduced power menu lockdown option in Google Pixel 3, Pixel 3 XL, Pixel 2 and other supported devices. You can use android 9 Pie’s lockdown mode using below given settings. This Android 9 Pie setting include lock screen notification, add users from lock screen, lock screen message and show lock down option. By default disabled show lockdown option. You can see lockdown option in your android 9 Pie’s devices power menu button. Just tap lockdown to use this feature to disable fingerprint and other smart lock. And that’s all. We hope this makes it clear how to use lockdown mode in Galaxy S10 One UI. If you have any kind of trouble, tell us in below comment box. Stay and connect with us for latest updates.